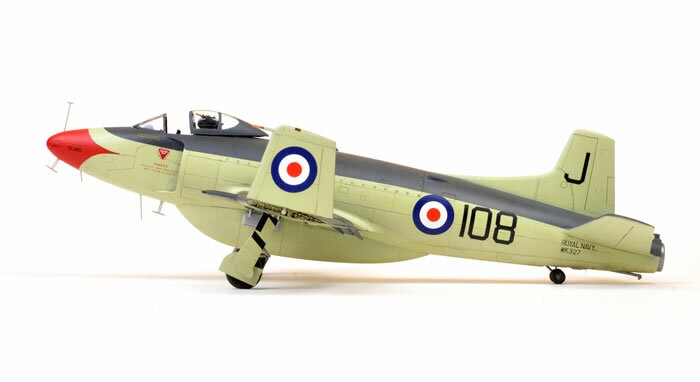 Here is my 1/48 scale Trumpeter Supermarine Attacker F.1 converted (very simply) to an FB.2. This was a bit of a last-minute impulse build. It is generally a very nice kit featuring good fit and the most restrained surface detail that I have seen on a Trumpeter kit. 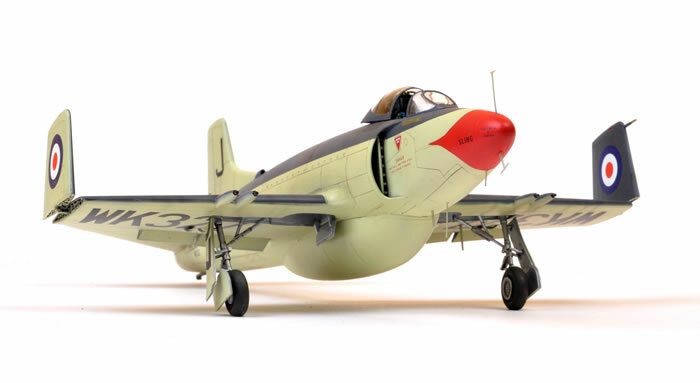 The main problem areas are the horizontal tail planes, which are too low on the fuselage - quite obvious when comparing to reference photos - and the forward rake and toe-in of the main undercarriage. I used a Classic Airframes Attacker (bought bagged for $14.00 in 2011) as a detail set for the larger main wheels, antennae, stencil decals and a few other details. 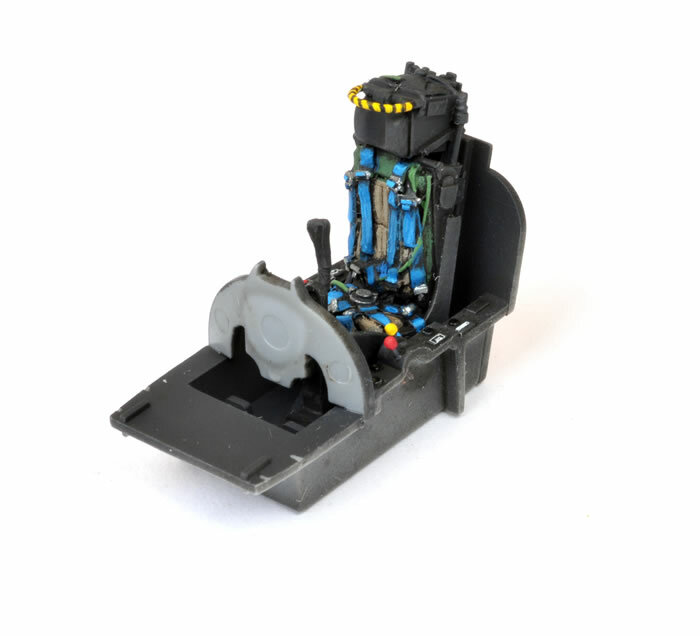 The late-style canopy is the spare from the Falcon vac form kit, while the Martin Baker Mk.2 ejection seat is the out-of-production Cutting Edge resin item. Markings were sourced from Xtradecal Item No. 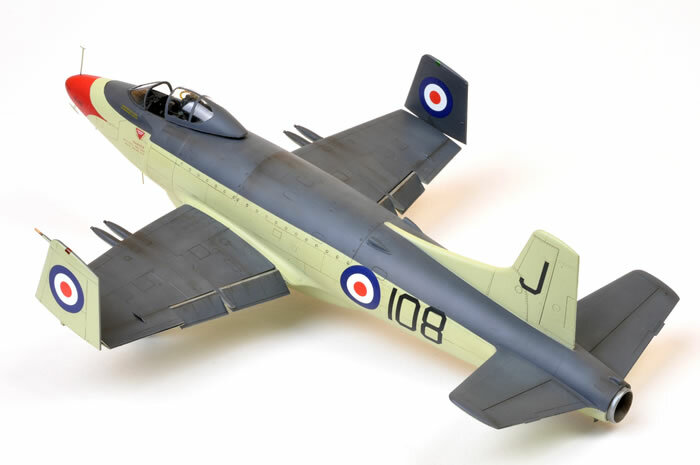 X48-117 – Supermarine Spiteful and Attacker. The sizes and fonts are a vast improvement over the kit decals. Construction and finishing of this model will be described in Issue 25 of ADH Publishing's newest model magazine, "Military Illustrated Modeller".